blogadda contest contests gillete rolemodel My Role model! Life is strange at times. We get inspired from others and treat them as our hero. We only know one side of theirs but still they tend to be our hero. We know many things, almost everything about us , why can't we be our own hero? If you ask me who is my role model then I would say for others it would be some famous Sportsperson, some politician or some actor and so on. I wouldn't say its my mother who is my role model. Mothers love is pure. Some say its this unconditional love of hers which differentiates her from other usual rolemodels. She is a rolemodel for many but not for me. My mother is more than a rolemodel to me. A rolemodel inspires you and you try to emulate them and at the end of the day all you do is blindly follow them. During this course of time you gradually turn into a person whom you admire. This is the most inappropriate thing to do. Why can't we just be our self. In this case I am talking about others. Some would say their father is their role model. Many times you may come across people saying - My daddy, strongest! and so on. Yes, people love their parents. Its an obvious fact! We all have this common trait. Its our love for our loved ones. Coming back to the rolemodel question. Yes, I am my own rolemodel. I fall, I hurt myself, I struggle, I cry, I suffer but at the end I rise up. I do all this without anyone's help. Everyone in this life who surround you are like passing clouds. They only stay there for a transient period of time. Even your own shadow leaves you when the sun sets. By saying this I mean that people live their own life. Be it be an actor or a sportsperson. Aforementioned, if you try to get inspired from their life then its fine.But make sure that this inspiration lits up your dreams. That's how life goes on! There are many who come in your life, they give you nice advises and vanish away! Within the blink of a second, even their advises fade away.Be your own rolemodel! Set up your own goals, strive hard to fulfill your dreams. Dream with open eyes. Dreaming with open eyes would not let you sleep. It will awaken the spirit in you until you make sure your dreams materializes. 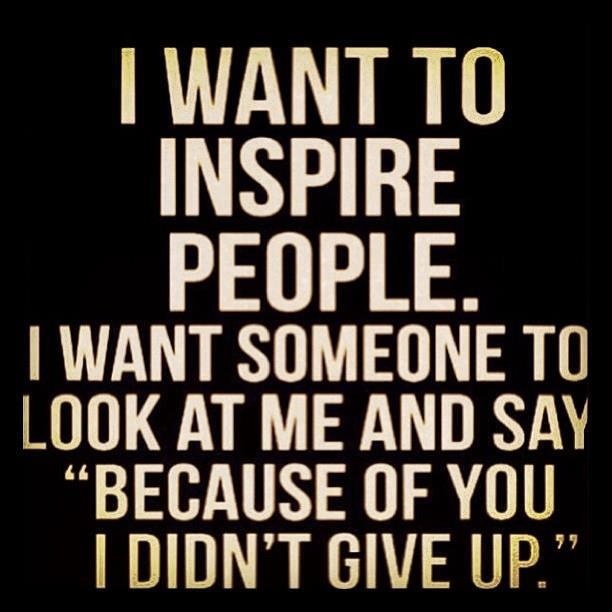 Like this you can inspire others who struggle in their life. 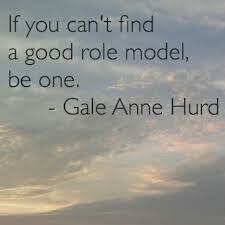 You can be others rolemodel and in turn advice them to be their own rolemodel and this cycle would continue. Even when we were young, our mother would teach us everything from talking, walking and learning. We owe many things to her. But at the end of the day, its we who implement it. Its we who talk, we who walk and we who learn! Its our own life and we complete our life. I am my own hero! I am my own enemy! Every single day I fight with myself! I see myself as my own competition. I do not need to compete with the others who grow up seeing others as their rolemodel. Its not a big issue if you fall and fail. Failure is the first step to success. But until and unless you realize the importance of this failure, then only you will embark on a remarkable journey. This journey would be the most beautiful journey of your life. Unless and until you don't realize your importance and worth, then you would just be living an ordinary life. I am my own rolemodel because I am different. I was born in this world with a purpose. I strive hard to fulfill my dreams. Prove others who mock you and make them realize that even you are a superstar. Don't strive to be perfect. Be imperfect and this imperfection will make you perfect someday and that day would be the best day of your life. I don't need anyone else to tell me to do better in life. I don't need to get inspired from others! I just want to inspire myself. I want to fulfill my aspirations and complete my goals. For I am my own idol, my own hero! Just know the basic rule of your life that you know yourself better than anyone else in this world. No one else can judge you better than you! Bring out all the flaws in you and convert all the negatives in your life to positives. You are the actor in your life and others who enter your life just have a cameo role. Everyone who enters our life only plays a cameo. It's you who direct your movie of life. If you have to make it a big hit, look it up to yourself. Make it large! Many times in my life I have failed - during sports, during interviews and many such occasions. During my 3rd year of campus interview, the HR asked me - what would you do if we don't offer you a job? I paused for a while and thought. What could I do? I just had a simple answer to say. I would learn from failures. If I lost a game, then I won't need to worry as its not the last game of my life. If I fail in an interview, I won't worry as there may be many chances. If not this time, then surely the next time you would make it. If not the next time, then some day you would make it. Its just that we need to have the never say never attitude in you. I told the HR that I will improve myself and find out the mistakes I did in the interview and may be give my best shot in my next interview. She was impressed with me and I was offered a job to work with them. At the end of the day, you would be happy when you rise to victory. You would still be happy if you fail, in fact you should as you have another opportunity to prove yourself. Don't get disheartened by failures.
" The sky is not always blue. The sun will not necessarily shine at you. The birds will die one day. So its fine to fall, but we just need to keep ourselves motivated. It's OK if you cry but crying should be transient. Pour everything out. Let your heart mourn, until it can never get hurt. Extract the sorrows out of your life. Stand up, Rise and Shine.Dry up all the tears and live life once again. Then it would mould you into a stronger you. Live life with a free spirit. You always have a chance to make someone proud. So life revolves around the circle. Throw a boomerang and it will come back to you. That's how life is! Be your own superhero, Be your own actor, Be your own Sachin, Be You! For you, its you who matters and not others. Be your own rolemodel!" 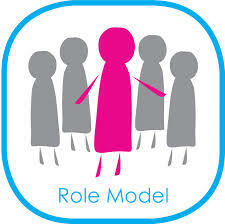 Your Rolemodel inspires you and motivates you and who can inspire you and motivate you other than you! Be your own rolemodel. I can proudly say that I don't need anyone else to be my rolemodel. I am my rolemodel!